Between 2014 and 2020 the European Social Fund (ESF) employment will be funding integration and education projects in Hamburg. The ESF benefits people. For over 50 years the European Social Fund (ESF) has been successfully promoting employment, integration and education measures. The citizens of the Union’s member states are the greatest beneficiaries of the fund. 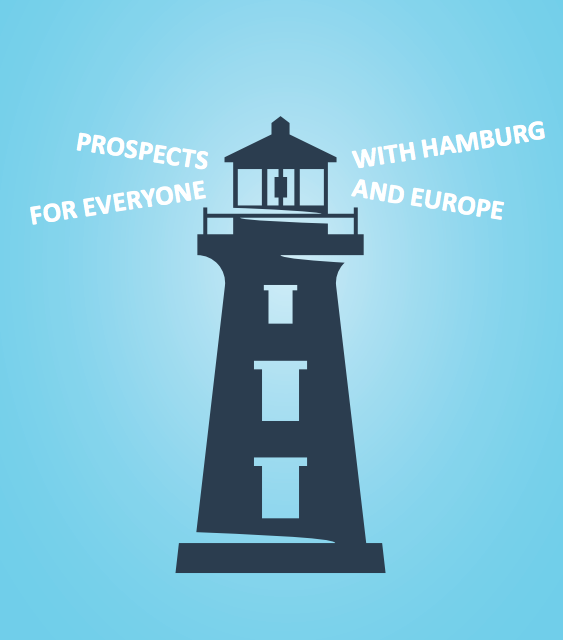 Funding from the European Union and the Hanseatic City of Hamburg has a number of objectives. Firstly, to improve employment rates and to increase labour mobility. Secondly, to promote social inclusion and to combat poverty. And, thirdly, to invest in education and further training measures in order to achieve long-term growth. Between 2014 and 2020 the ESF in Hamburg will receive some 78 million euros of funding. The Free and Hanseatic City of Hamburg will match this figure, doubling the total sum available to over 150 million euros. 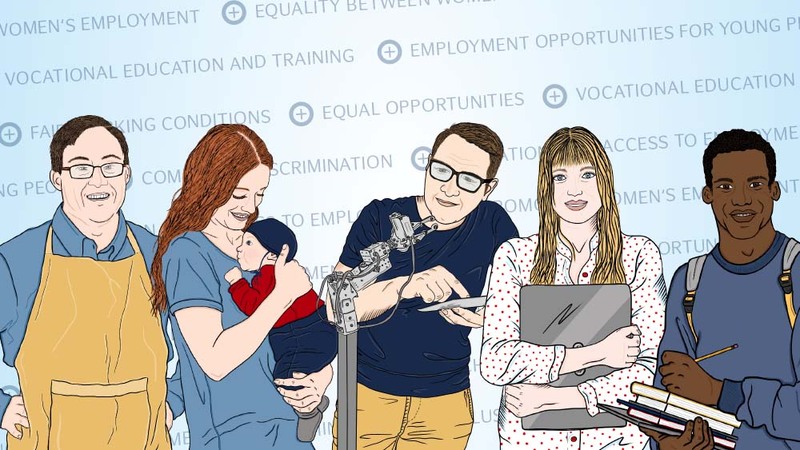 The numerous measures available under the motto“ Seizing opportunities, safeguarding employment!” will serve to support key pillars of the Senate’s labour market policies, such as the Hamburg Strategy to Meet Requirements for Skilled Labour; the work of the Youth Employment Agency and also the Joint Labour Market Programme of the Ministry of Labour, Social and Family Affairs and Integration; the Employment Agency Hamburg and the Job Center team.arbeit.hamburg. If you have any questions, the Ministry of Labour, Social and Family Affairs and Integration will be pleased to advise you.